DUCATI MOTORCYCLES RANGE Sales Brochure From 2001 Format: 16 page broadsheet Ref: Cod 917.1.040.1A Language: Multi-lingual. Size: 8 1/2 x 11 1/2 inches (approx). Models covered: Full 2001 range: 996R, 996, 996S, 748, 748R, 748S, SUPER SPORT 900, SUPER SPORT 750, 750 SPORT, MONSTER 400 (JAPAN), MONSTER 600, MONSTER 750, MONSTER 900, MONSTER S4, SPORT TOURING 2, SPORT TOURING 4 SPORT TOURING 4S & MH900e. Condition: Good to Very Good, there is handling creasing and minor edge-wear. Please see attached photographs and if you require any further details we will be only too happy to assist. Another item from POOKS MOTOR BOOKS HOW TO PAY We Accept PAYPAL, UK STERLING CHEQUES, BANK TRANSFERS (GBP Only) and ALL MAJOR CREDIT/DEBIT CARDS. DUCATI MONSTER S4 MOTORCYCLE Sales / Specification Leaflet From 2001 PUBLICATION No: None. FORMAT: Single Sheet, Printed on Both Sides. LANGUAGES: English. ILLUSTRATIONS: Colour Photographs. SIZE APPROX: 11 ¾”x 8 ¼”. CONDITION: Overall condition is VERY GOOD. Handling marks & minor creases appear throughout with scuffs/bumps to the corners/edges. Please see attached photographs and if you require any further details we will be only too happy to assist. Another item from POOKS MOTOR BOOKS HOW TO PAY We Accept PAYPAL, UK STERLING CHEQUES, BANK TRANSFERS (GBP Only) and ALL MAJOR CREDIT/DEBIT CARDS. To pay with a card please select the PayPal option & click on the “pay with a card” link on the PayPal login page or call us. 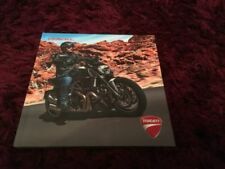 Ducati 750 Monster 1996-2001 Manuals - Haynes (Each). Book Number: 3756. With a Haynes Manual, you can do it yourself, from simple maintenance to full repairs. Every Manual is based on a complete stripdown of the car. Our Manuals have clear instructions and hundreds of photographs that show each step. Manual Haynes for 2001 Ducati 996 S Haynes Manual 3756 Ducati 748 / 916 / 996 V-TWINS. Manual Haynes for 2001 Ducati 748 S Haynes Manual 3756 Ducati 748 / 916 / 996 V-TWINS. 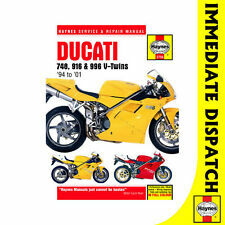 Ducati 748 E Biposto 2000-2001 Manuals - Haynes (Each). DUCATI MH900 EVOLUZIONE Double Sided Poster From Circa 2001 PUBLICATION No: None. ILLUSTRATIONS: Colour Photographic Images. SIZE APPROX: Closed - 11 ¾”x 8 ¼”. Opened Out - 23 ½”x 16 ½”. CONDITION: Overall condition is GOOD/VERY GOOD. Handling marks, minor creases & light discolouration appears throughout with bumps/wear to the edges/corners. Please see attached photographs and if you require any further details we will be only too happy to assist. Manual Haynes for 2001 Ducati M900 Monster ie Haynes Manual 3290 Ducati 900SS / SL V-TWINS. DUCATI M600 WORKSHOP SERVICE REPAIR MANUAL 1993-2001 sent as a "Download"
Ducati Monster M600. THIS MANUAL IS IN ELECTRONIC PDF FORMAT YOU CAN JUST PRINT OUT THE PAGE YOU NEED THEN DISPOSE OF IT WHEN YOU HAVE COMPLETED YOUR TASK. THIS MANUAL HAS DETAILED ILLUSTRATIONS AS WELL AS STEP BY STEP WRITTEN INSTRUCTIONS WITH THE NECESSARY DIAGRAMS OR PICTURES. DUCATI M900 WORKSHOP SERVICE REPAIR MANUAL 1993-2001 sent as a "Download"
Ducati Monster M900. THIS MANUAL IS IN ELECTRONIC PDF FORMAT YOU CAN JUST PRINT OUT THE PAGE YOU NEED THEN DISPOSE OF IT WHEN YOU HAVE COMPLETED YOUR TASK. THIS MANUAL HAS DETAILED ILLUSTRATIONS AS WELL AS STEP BY STEP WRITTEN INSTRUCTIONS WITH THE NECESSARY DIAGRAMS OR PICTURES. Manual Haynes for 2001 Ducati 900 Supersport ie Haynes Manual 3290 Ducati 900SS / SL V-TWINS. ORIGINAL FACTORY SERVICE MANUAL. THIS IS A MANUAL THAT WAS USED IN A DEALER. Manual is in MOSTLY GOOD condition. Ending Soon. New Arrivals. QUICK LINKS. this item We are passionate about motorcycles as well as classic cars, hot rods and anything that goes fast or is fun automotive wise. DUCATI MONSTER 600, 750 & 900cc Sales Brochure From 2001 IN ENGLISH & ITALIAN TEXT PUBLICATION No 917.1.018.1A FORMAT 28 Pages, Stapled, with some pages folding out (please see photos). LANGUAGES Italian & English. ILLUSTRATIONS Colour Photographic Images. SIZE APPROX 11 ¾”x 9”. CONDITION Overall condition is VERY GOOD. Handling marks appear throughout, with light scuffs/bumps to the corners & edges. Please see attached photographs and if you require any further details we will be only too happy to assist. DUCATI SUPERSPORT 750 & 900 Sales Brochure From 2001 IN ENGLISH & ITALIAN TEXT PUBLICATION No 917.1.020.1A FORMAT 22 Pages, Stapled. LANGUAGES Italian & English. ILLUSTRATIONS Colour Photographic Images. SIZE APPROX 11 ¾”x 9”. CONDITION Overall condition is VERY GOOD. Handling marks & light scratches appear throughout, with light scuffs/bumps to the corners & edges. Please see attached photographs and if you require any further details we will be only too happy to assist. Manual Haynes for 2001 Ducati 750 Monster Haynes Manual 3290 Ducati 900SS / SL V-TWINS. Manual Haynes for 2001 Ducati 750 Monster Dark Haynes Manual 3290 Ducati 900SS / SL V-TWINS. Manual Haynes for 2001 Ducati 600 Monster Dark Haynes Manual 3290 Ducati 900SS / SL V-TWINS. Manual Haynes for 2001 Ducati 750 Super Sport IE Haynes Manual 3290 Ducati 900SS / SL V-TWINS. Manual Haynes for 2001 Ducati 600 Monster Haynes Manual 3290 Ducati 900SS / SL V-TWINS. THIS IS THE HAYNES SERVICE AND REPAIR MANUAL FOR THE DUCATI 748,916 & 996 MADE BETWEEN 1991 AND 1996. VERY USEFUL IF YOU ARE SERVICING,REPAIRING,RESTORING OR OWN A DUCATI. DUCATI 900SS 2001 : 258 Pages. Timing system/valves. Cooling system. Front wheel. Front suspension. Rear wheel. Haynes Manual 3290 Ducati 900SS/SL V-TWINS Haynes Manual 3290 Ducati 900SS / SL V-TWINS. 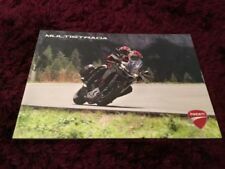 DUCATI MOTORCYCLES 2001 Range Sales Brochure #917.1.040.1A 996R 748 Monster. Condition is Used. Dispatched with Royal Mail 1st Class Large Letter. DUCATI MONSTER 400 | 620 2001-2006 : 546 Pages. Use and Maintenance. 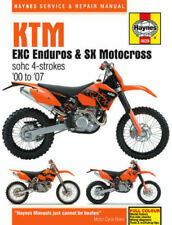 Fuel system - Exhaust system. Wheels - Suspensions - Brakes. HAYNES SERVICE & REPAIR MANUAL 3756. With a Haynes Manual, you can do it yourself, from simple maintenance to full repairs. Every Manual is based on a complete stripdown of the bike. Our Manuals have clear instructions and hundreds of photographs that show each step. Haynes Product Code.3756.Approx 250 pages. Covers Ducati 748,916 & 996 V-Twins. Detailed manual covering engine cycle & electrical repair. Ducati 748, 916 & 996 94 - 01 (3756). Model 996 S 916cc 2001. Model 748 & 748 S 748cc 00 - 01. Model 916 Senna 916cc1995. Keep your Bike in perfect running order and maintain it's value with this service and repair manual. 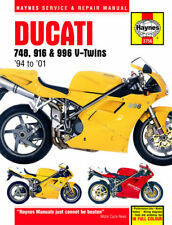 Haynes Manual 3756 Ducati 748/916/996 V-TWINS Haynes Manual 3756 Ducati 748 / 916 / 996 V-TWINS. OCTOBER 2001 DUCATI MONSTER MOTORCYCLE HONDA VTX. Ducati Monster 620 S i.e. 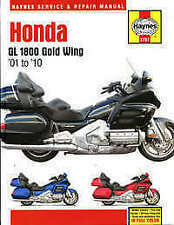 HONDA VTX1800. MPN Non Applicabile. NO WHATSAPP. Cell phone: 348 0817330. Fax: 0547 355073. 0547 52998. Published by Haynes in 2001. Ducati 748, 916 & 996 V-Twins. Service and Repair Manual. 1994 to 2001. In EXCELLENT condition, with minimal handling wear to the boards. Apart from the small scribble on the first page, the pages are clean, white and unmarked. 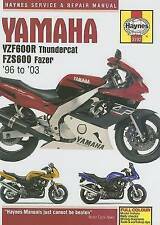 Ducati 900 Supersport ie 2001-2002 Manuals - Haynes (Each). Ducati 600 Monster 1993-2001 Manuals - Haynes (Each).